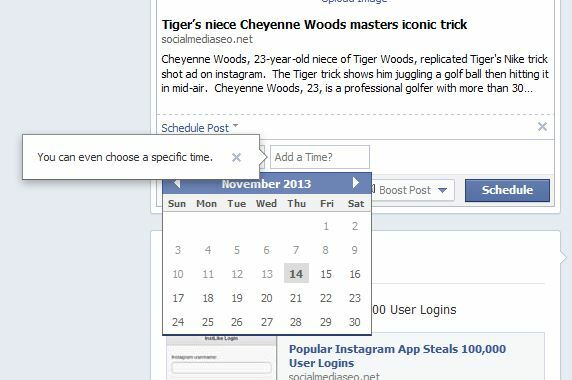 Not too long ago I noticed how incredibly annoying it was to schedule a post on Facebook. This feature is mainly for Facebook page owners and helps you by creating bulk posts ahead of time which appear consistently on your followers walls. Anyway, they used to have a very annoying time and date setting where you would need to select each number from a dropdown, which made it take forever to schedule a post. Now they finally moved into the modern, usable web, where you can select a time and date from a date-picker and start typing the time, then auto suggest takes over from there. If you want to see posts you have already scheduled, just click “use activity log” under “edit page”. They then appear in a list where you can change your scheduled posts, remove them, or publish them instantly.